North Korea has vowed to strengthen its nuclear deterrent and other military capabilities after the United Nations security council condemned its latest rocket launch. Analysts warned that the prospects of a third nuclear test by the regime had increased after its harsh response to the resolution, which extended sanctions against the North and expressed the council’s determination to take “significant action” against further missile or nuclear tests. North Korea says it sent a satellite into orbit in December for peaceful and scientific purposes. But the council said it breached the ban on nuclear and missile activity, because the launch technology is near-identical to that required for long-range missiles. China, which has veto rights as a permanent member of the council, agreed to Tuesday night’s resolution after sections were removed from an earlier draft. It has often blocked proposals for strengthened measures against its ally and neighbour in the past. Susan Rice, the US ambassador to the UN, said the resolution “demonstrates to North Korea that there are unanimous and significant consequences for its flagrant violation of its obligations under previous resolutions”. The security council reiterated its demand that the North cease further launches and end its nuclear weapons programme in a “complete, verifiable and irreversible manner”. The angry response from Pyongyang’s foreign ministry said the North “should counter the US hostile policy with strength, not with words” and warned it would “bolster the military capabilities for self-defence including the nuclear deterrence”. “There can be talks for peace and stability of the Korean peninsula and the region in the future, but no talks for the denuclearisation of the peninsula,” it added. The statement “considerably and strongly hints at the possibility of a nuclear test”, the analyst Hong Hyun-ik, of the private Sejong Institute thinktank near Seoul, told Associated Press. The North tested nuclear devices shortly after rocket launches in 2006 and 2009, and last month the 38 North blog said analysis of satellite photos showed continued activity at a nuclear test site. 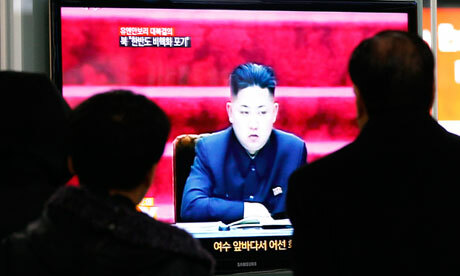 Leonid Petrov, an expert on North Korea at the University of Sydney, said the resolution was “not helpful”. He added: “Sticks without carrots do not work. A combination of sanctions with the prospect of engagement would be much more conducive to resolving the situation. He said there were hopes that Park Geun-hye, South Korea’s incoming president, would bring a “more pragmatic, less ideological and more stable” policy towards the North than that adopted by her predecessor, Lee Myung-bak, who ended Seoul’s “sunshine policy” of engagement and aid. But Daniel Pinkston, the north-east Asia deputy project director for the International Crisis Group, warned that if a nuclear test went ahead, “any ideas or initiatives that she is thinking about or planning will pretty quickly become impossible”. While Rice said the resolution introduced new sanctions, others argued it had only extended previous measures, so that more government bodies and individuals – such as the space agency and the man who runs it – will have their assets frozen and face a global travel ban. Li Baodong, China’s permanent representative to the United Nations, described the resolution as “generally balanced”, the state news agency Xinhua reported. He noted that measures which China believed would jeopardise normal trade had been removed. The six-party aid for disarmament talks stalled in 2009 and a deal with the US – which would have placed a moratorium on nuclear and missile tests in exchange for food – collapsed after the North carried out an unsuccessful rocket launch in April last year. (North Korea reacts angrily to UN Resolution 2087, NKnews.org 23 January 2013 )North Korea reacted bitterly to yesterday’s UN resolution condemning its December satellite launch, pledging to strengthen both military and nuclear capabilities. The defiant statement from North Korea’s Foreign Ministry came just hours after the United Nations Security Council unanimously adopted a resolution condemning rocket launch as a violation of an existing ban against nuclear and missile activity. UN Security Council Resolution 2087 imposes sanctions on North Korea’s space agency, targets the illicit smuggling of sensitive items and updates a list of nuclear and ballistic missile technology prohibited for transfer in or out of the country. It also reiterates that a peaceful, diplomatic and political resolution to relevant issues should be sought, and advocates the resumption of the Six-Party talks. While today’s wasn’t the first time that North Korea has issued such angry rhetoric following a UN Resolution, under the new leadership of Kim Jong Un it throws a direct challenge to both newly inaugurated President Obama and incoming South Korean President Park Geun-hye. It is regrettable that after the sixty years of confrontation both the UNSC and the DPRK are still locked in the security dilemma and prefer to exchange invectives and threaten the region with prospects of resuming the Korean War. Despite the “generally balanced” tone of the recent UNSC resolution on North Korea, warnings to take “significant action” will only lead to promises “to boost and strengthen defensive military power”. More sanctions will only lead to less dialogue because sticks work only when carrots are also on the offer. In the situation where military action is inconceivable and diplomacy does not work, the usage of soft power might be more useful. Following Obama’s 2008 arrival at the White House North Korea conducted a rocket launch similar to the latest one and when similar UN sanctions were applied, quickly followed it with a nuclear test. At a time when Obama had promised an “open hand” to North Korea, Pyongyang’s one-two blow undermined the prospects for any short-term engagement between Washington and Pyongyang. Having shown a visiting U.S. delegation advanced uranium enrichment capabilities in late 2010, it has long been worried that any new nuclear test would seek to showcase the latest technologies. As such, any third nuclear test could risk Pyongyang showcasing a uranium based weapons technology to demonstrate advances in bomb-making. 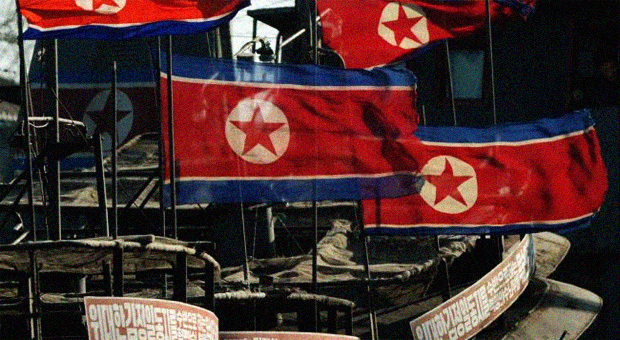 To date, Pyongyang has conducted two nuclear tests, the first in 2006 and the second in 2009. The U.S. and North Korea’s neighbors fear Pyongyang’s ultimate goal is to put a nuclear warhead on a long-range missile that could target the west coast of the U.S., but it is not believed to have mastered the technology yet. North Korea argues that it needs nuclear weapons to deter what it views as a “hostile” U.S. policy and long-range rocket technology so it can launch satellites into space. East Asia is now the world’s economic powerhouse, but ghosts of history continue to trouble relations between the key countries of the region, particularly between Japan, China and the two Koreas. Unhappy legacies of Japan’s military expansion in pre-war Asia prompt on-going calls for apologies, while conflicts over ownership of cultural heritage cause friction between China and Korea, and no peace treaty has ever been signed to conclude the Korean War. For over a decade, the region’s governments and non-government groups have sought to confront the ghosts of the past by developing paths to reconciliation. 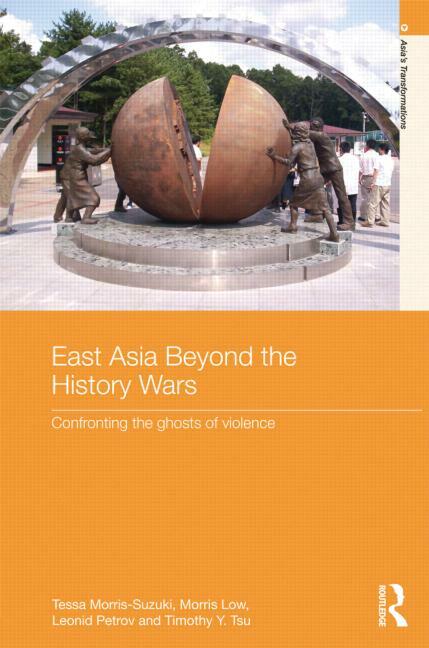 Focusing particularly on popular culture and grassroots action, East Asia beyond the History Wars explores these East Asian approaches to historical reconciliation. This book examines how Korean historians from North and South exchange ideas about national history, how Chinese film-makers reframe their views of the war with Japan, and how Japanese social activists develop grassroots reconciliation projects with counterparts from Korea and elsewhere. As the volume’s studies of museums, monuments and memorials show, East Asian public images of modern history are changing, but change is fragile and uncertain. This unfinished story of East Asia’s search for historical reconciliation has important implications for the study of popular memory worldwide. Presenting a fresh perspective on reconciliation which draws on both history and cultural studies, this book will be welcomed by students and scholars working in the fields of Asian history, Asian culture and society as well as those interested in war and memory studies more generally. Tessa Morris-Suzuki is Professor of Japanese History at the Australian National University. Morris Low is Associate Professor of Japanese History at the University of Queensland, Australia. Leonid Petrov is a former Chair of Korean Studies at Sciences Po (Institut d’Etudes Politiques de Paris) and teaches Korean History and Language at the University of Sydney, Australia. Timothy Y. Tsu is Professor in the School of International Studies, Kwansei Gakuin University, Japan.